Currently executive director of the Parker H. Petit Institute for Bioengineering and Bioscience at Georgia Tech, Guldberg will discuss “The Perils and Promise of Regenerative Medicine” during the public presentation. The talk takes place at 4 p.m. Wednesday, April 4, in Room 182, Lillis Hall. Guldberg is a mechanical engineer well-versed in medical research and entrepreneurship. The UO announced his hiring as the first permanent executive director of the Knight Campus last fall. 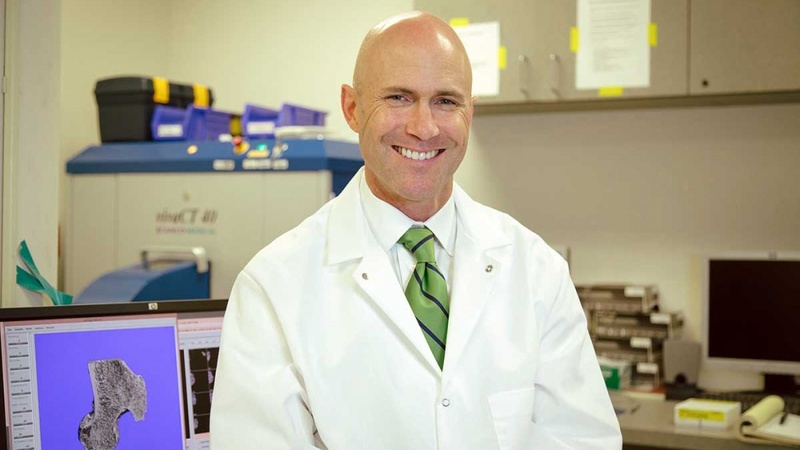 His April talk will center on regenerative medicine, a highly interdisciplinary field that delves into therapies combining stem cell biology, immunology, biomaterials, bioengineering and clinical expertise to promote the body’s ability to repair and regenerate damaged or diseased tissues and organs. Although significant technical, regulatory and manufacturing challenges remain, regenerative medicine technologies have begun to be successfully translated into therapies and products. “We will discuss emerging trends, including recent success stories and opportunities for continued collaboration between sciences and engineering to push the field forward and impact patient care,” Guldberg said. The Knight Campus is a $1 billion vision to rethink research, science education and innovation. It’s made possible by a $500 million lead gift from Penny and Phil Knight. Guldberg joins the UO as executive director and vice president in late summer.